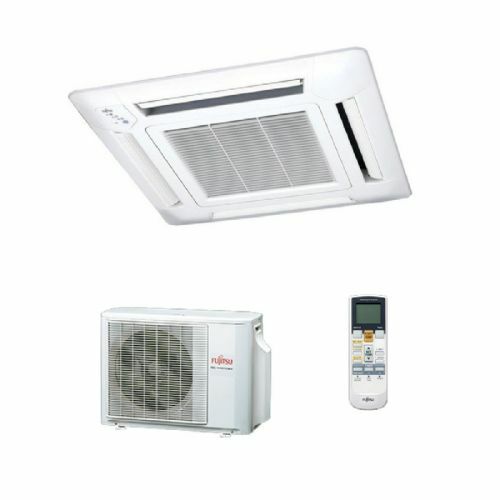 In order to be able to adapt to the shape of the room to be conditioned, the Fujitsu cassette units are able to configure the air impulsion in two, three or four different directions and thus achieve uniform air conditioning. The unit can make a sweep using its deflector slats to air-condition the premises more quickly. The direction of the sweep as well as the auto swing function can be selected by using the remote control.